Combines the high electrical conductivity of metals with the low mechanical modulus of an elastomer. Metal Rubber is a unique self-assembled nanocomposite that combines the high electrical conductivity of metals with the low mechanical modulus of elastomers. Self-assembly processing allows the simultaneous modification of both conductivity and modulus during manufacturing, using low glass transition temperature (Tg) polymer matrix resins (-60 °C). Metal Rubber has been demonstrated in a wide range of applications including, but not limited to: large mechanical deformation electrodes, mechanically flexible electrical interconnects, and lightweight, durable, conformal electromagnetic shielding. For domestic orders, this item ships within 1 – 2 weeks via FedEx Ground. For international orders please contact us: sales@nanosonic.com. A minimum $2,000 (USD) order is required. Demonstrated performance for a wide range of applications including large mechanical deformation sensors and flexible electrical interconnects. A highly electrically conductive and flexible elastomer that can be strained to greater than 250% of its original dimension while maintaining conductivity. 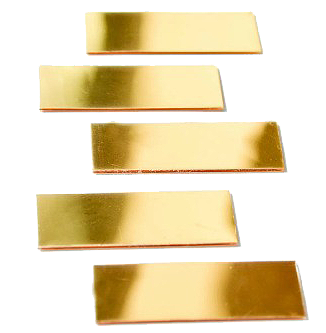 EKGear sensor patches combine the high electrical conductivity of metals with the mechanical properties of textiles and allow monitoring of EKG signals without the need for typical gels or adhesives. A private company specializing in advanced materials and devices.